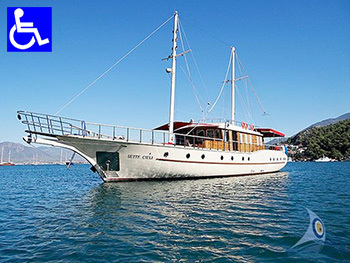 Welcome aboard M/Y SETTE CIELI, the only Gulet with accessibility in mind. Situated on the main deck, two fully wheelchair-accessible cabins offer ample room, including an en suite shower with enough room for a wheelchair to turn 360°. Superb lighting and light wall colors will also help sight-impaired guests have a more pleasant stay. They will appreciate being able to access their cabin without having to navigate any steep stairs. Through a specially designed lift, we are also able to help guests with mobility issues to get in and out of the water with ease, without the dread of scaling the boarding ladder. While we are happy to arrange your airport transfers, please understand that we cannot arrange your flight bookings. The Captain knows each harbour and every cove on this beautiful coastline. 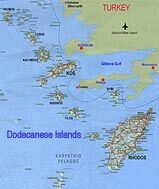 The cruise will follow a route which will be discussed with everyone on board. The Turkish cuisine On board the M/Y SETTE CIELI you will find delicious Turkish dishes, prepared with fresh vegetables, fish and meats. Our cook is an expert in his field, and will pamper you with breakfast, lunch and dinner. If you have any special dietary requests or requirements, simply let him know. He will be able to prepare dishes that suit your tastes. There is nearly none of the gullet charter-companies who tells you the truth about the use of air-condition on Gullets. 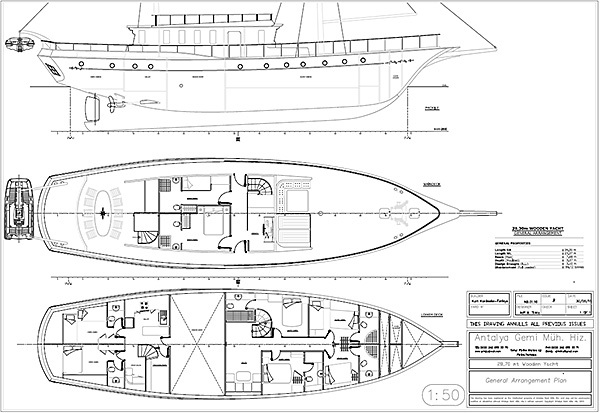 Yes, yes M/Y SETTE CIELI has AC and you think you can switch it on when you like. It's not! On a boat the AC can only run when the generator is on, or in a harbor when connected to 220 Volt. But mainly you are in anchor bays, often next to a neighbor who doesn't like the noise of your generator and you wouldn't like it either during the night for example. VHF, GPS, AIS, Internet, radar, 50 HP Zodiac Boat, Waterski,refrigerator, deepfreeze, TV at saloon, DVD, music system, Wii. oven, masks, flippers, sun awnings, sun mattresses, deck chairs, sea ladder. 6 cabins for 11 guests. All cabins with ensuite shower/wc, hot water, saloon, fully equipped galley, indoor/outdoor dining, 2 crew quarter with their own shower and WC. All cabins have air-conditioning, or to switch to heating. And of course, like all our boats, also the M/Y SETTE CIELI meets international safety regulations including life jackets, fire extinguishers and alarms. © pixelwork bodrum 1998-2014. All Rights Reserved.